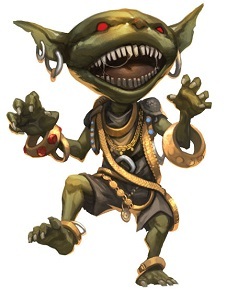 Please Paizo, Move up the release date of Hell’s Rebels. 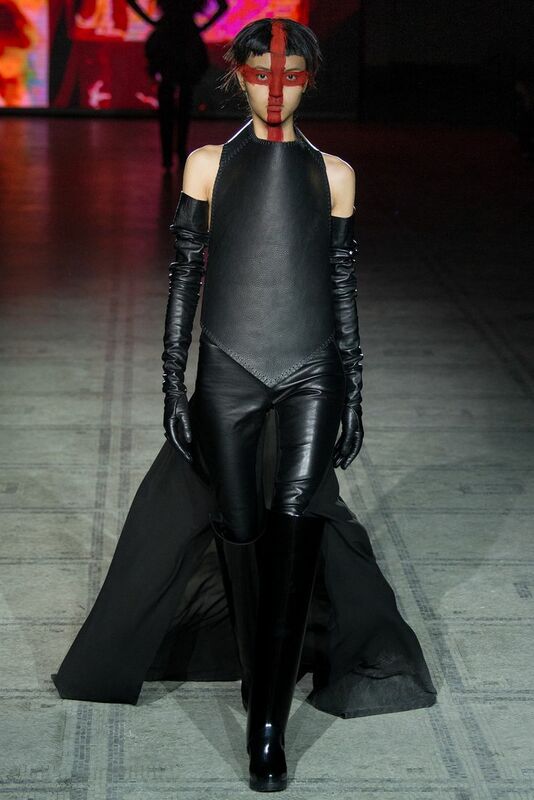 Gareth Pugh needs rescuing. 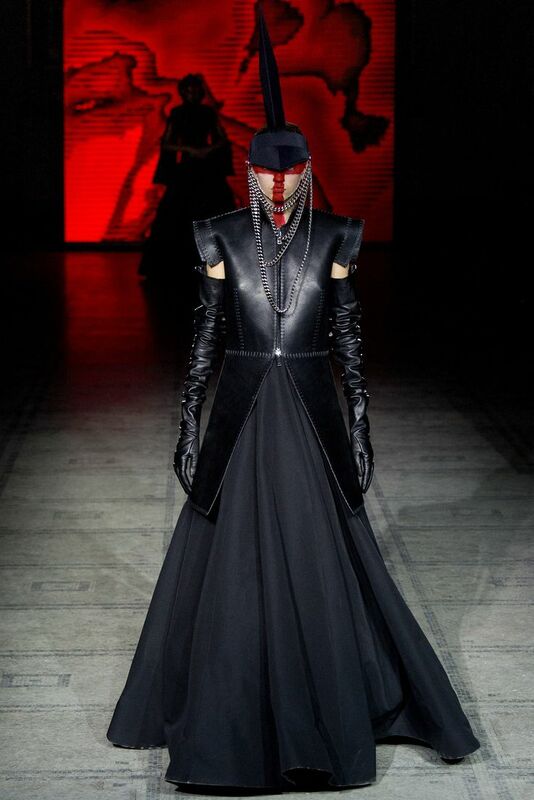 You may remember my theory that based on his Spring 2015 collection, the Hell’s Rebels AP was going to center around rescuing Gareth Pugh from the Chelaxians. 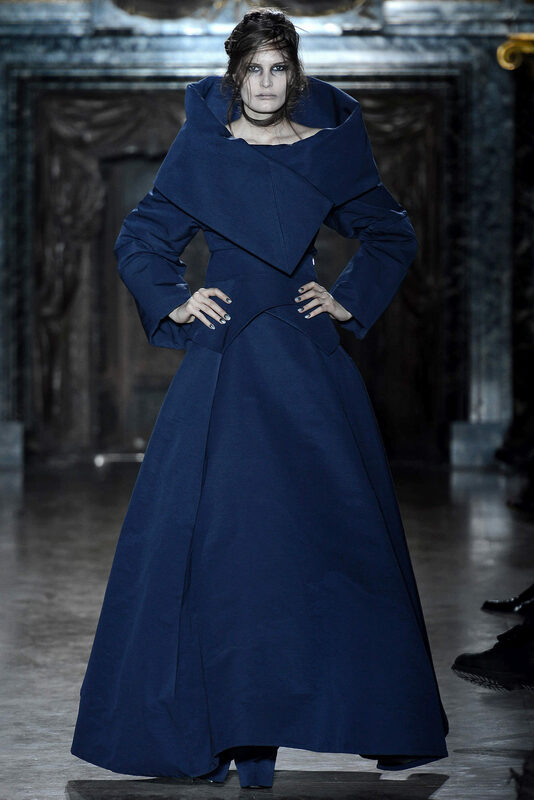 Well, he just released his Fall 2015 collection, and it looks like he’s still trapped in Cheliax, working for House Thrune. 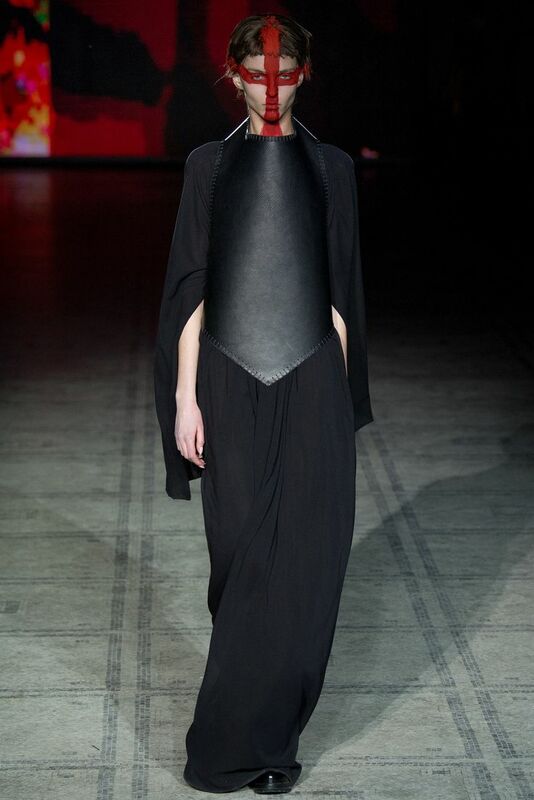 He has shown in the past that he can dress a wider variety of Golarian inhabitants. He must be returned to wider Golarion! The most common natural fibres of Earth are all pretty well attested in Golarion — cotton, linen, wool, silk. 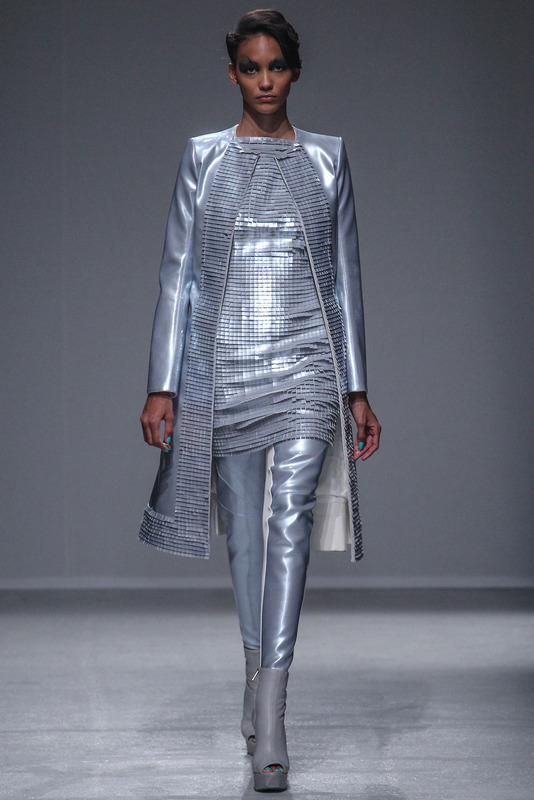 Polyester, if it exists (and plastic does, so there’s no reason to think it wouldn’t), is safely confined to Numeria. But what about rayon? Rayon (which is mostly synonymous with ‘viscose’) comes on the scene in about 1900. It was developed as a cheaper alternative to silk. It is ‘semi-synthetic’; derived from chemically treated cellulose extruded through a spinneret. (That sentence alone makes rayon fairly awesome) In simple terms: wood pulp is mashed up with chemicals, then squirted though tiny holes to make thread. Or something like that. It dyes easily, is cool to the touch, and absorbent, but the fibres weaken when wet. Qadira seems to be the only source of silk in the Inner Sea Region, which it obtains from Kelesh rather than producing. Think about that next time you spend 10gp on 50′ of silk rope. But don’t skimp and buy a cheap, rayon knock-off (assuming they exist). You’ll regret it the next time you have to climb the Cliffs of Insanity in the rain! (Does Tian Xia produce silk? It’s got to, right? Are there trade routes from Tian Xia over the Crown of the World? Those are real question for any readers with access to Dragon Empires Gazetteer, or Jade Regent) With this single source of silk for the whole the Inner Sea Region, it makes sense that an alternative for clothing would be sought. Rayon’s properties (absorbant, cool to the touch, not heat retaining) would make it an excellent fabric choice in hot, dry, northern Garund. (Rahadoum, Thuvia, Osirion, Katapesh). As for likely producers, Andoran (Darkmoon Vale) and Mwangi Expanse, seem probable. Both have large forests/jungles, and organizations willing to exploit them — The Lumber Consortium and The Aspis Consortium, respectively. Given Pathfinder’s ‘pulp roots’, I have no alternative but to believe that rayon exists somewhere in Golarion. OK, really I just wanted an excuse to post this picture of these awesome giant Paillette camo pants. 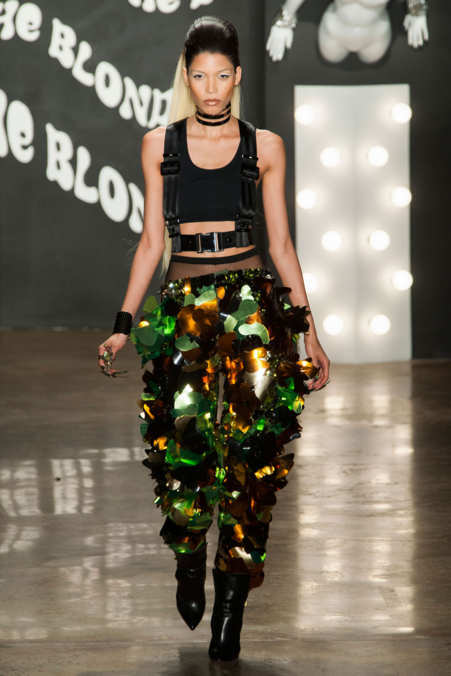 The Blonds, Fall 2015 Ready to Wear.